With many great local dentists in Basildon, Essex, why should you choose Smile Dental Centre for your oral health, emergency or cosmetic dental requirements. We are here to help you whether your visit is to improve your smile, a dental emergency or simply maintenance. We welcome new NHS and private patients all year round and offer a full range of NHS and cosmetic dental treatments for the entire family. We accept both fee paying patients and patients that are exempt from NHS charges. If you are a fee paying patient, we provide you with a detailed estimate of costs before commencement of any treatment. We are happy to treat patients of all ages with dignity and care. Smile Dental Centre has been an established family dental practice for over 50 years. We are a practice built on our service by making our patients feel welcomed and at ease. We are a busy mixed NHS and private practice close to the Basildon Town Centre. We have three fully equipped, modern, state of the art surgeries, All are fully computerised with iSmile, digital radiography and rotary instruments. We have a fully compliant centralized decontamination room that meets best practice guidelines. We continually reinvest in our staff with training. This enables us to provide you with the very best dental care. We recently achieved a BDA good practice award. Our aim is to provide high quality dental care in a comfortable and relaxing atmosphere. Our desire is to offer a comprehensive path to complete dental health and confidence. We are committed to ensuring as many people as possible can benefit from quality clinical care and customer service whether they choose to access dental care as an NHS or private patient. We are committed to providing excellent standards of dental care to all our patients. 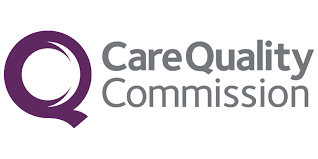 Smile Dental Centre is regulated by the Care Quality Commission, the independent regulator of health and social care in England, click on the logo below to see our full report. We offer an extensive range of cosmetic dental treatments including dental implants, teeth whitening, white cosmetic fillings, porcelain crowns, veneers, facial aesthetics and invisalign braces. Our dentists have had extensive training and have completed a number of courses to ensure we provide you with the most up to date and modern methods of cosmetic dentistry. Our dentists have outstanding patient care skills and keep up to date with the latest dental procedures and techniques to achieve high quality patient care and satisfaction. • We will listen to your concerns, treat you with respect and give you all the treatment options available, so that you can make an informed choice about your treatment. We will keep your details confidential and never disclose them to outside agencies. • We have a number of dentists and hygienists available to provide your dental treatment. You can see a dentist or a hygienist that has been recommended to you. • We have a number of appointment choices to suit you best – daytime and evening. We offer emergency appointments to patients in pain, where possible on the same day. Our opening hours have been adapted taking our patients views into consideration. Our patients can be assured that when we are closed there is out of hour's arrangements available to them if they have an emergency. We try out best to see emergencies within 24 hours. • Our receptionists are always on hand to help you whether that is over the telephone or at the practice, they will endeavour to help you arrange your appointments around your lifestyle. As well as English, we have a number of multi lingual staff covering many different languages and dialects. • We will provide you with a complete treatment plan covering all your dental needs and personal requirements. We offer competitive prices for our private cosmetic treatments. Should you wish to spread the cost of your treatment we offer finance to make it easier for you to pay (terms and conditions apply) We endeavour to use the highest quality materials, the latest equipment and technology to provide you with the best possible service. • We insist upon a high level of cross infection control standards to ensure the safest possible environment for you to be treated in. During your treatment, single use items are used where possible, all other items undergo a strict cleaning and sterilisation process. We follow all the latest guidelines on clinical excellence and patient safety. • Smile Dental centre is a state of the art dental practice; we have treated a number of anxious and nervous patients who have had bad experiences in the past. We offer sedation services at the practice for anxious and nervous patients on a private basis or on NHS referral. We pride ourselves by giving our patients the most pleasant dental experience, which will enable them to overcome any fears and maintain their teeth for the rest of their lives. • A Fantastic Team - We pride ourselves on having a friendly, helpful and dedicated team at Smile Dental Centre. • Our passionate team consists of dentists, hygienists, therapist’s, receptionists and administration staff who are friendly, trustworthy and committed to developing their skills to ensure we offer the best possible care. • Our Dental professionals adhere to the rules governing the profession under strict guidance from the General Dental Council (GDC) "Standards for Dental Professionals". Are you one of the thousands of patients considering cosmetic, aesthetic, orthodontic or dental implant work? If so, you might be interested in a service that we provide right here - interest-free and low cost payment plans to fund your dental treatment. As innovative and potentially much more affordable alternatives to traditional options, our range of facilities enable you to get the treatment you want - the right treatment - and pay for it over an appropriate period. A Practice Built on Recommendations & Repeat Patients. • The majority of our patients come to us through recommendation from a friend, family member or work colleague. Our satisfied patients are the best type of advertising that money just cannot buy! • We pride ourselves on going above and beyond to ensure the best experience, our patients are always happy to return and recommend highly. • Parking - We have ample car parking on site. If you have any questions then please do not hesitate to contact us, as we are always happy to help. We just want to make sure you are a real person and not a nasty spam bot, please complete captcha if you are asked to.